I want to teach you the one thing that everyone says is unteachable: leadership. You know me: I’m stubborn. I like to shake things up. I like to break down stereotypes. Well, one of the biggest, oldest, and most dangerous stereotypes out there is the idea that leaders are a different species from the rest of us. That they’ve been magically gifted something that the rest of us don’t have. There’s also the stereotype that a leader is someone with a fancy title…the idea that anyone who is an “authority figure” is automatically a leader. These are both lies, and I plan to shatter both of them by giving you the correct definition of leadership. First off, we have to remember that the word “leadership” comes from a verb: to lead. Leadership is an ACTION. Leadership is a CHOICE. 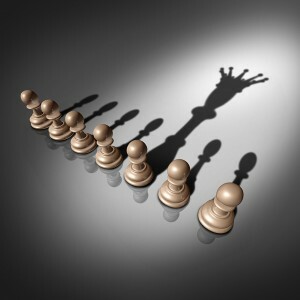 Each and every one of us can be leaders IF WE CHOOSE TO BE. In other words, the path to becoming a true leader is not really about who you are, it’s about what you do. Leadership is when you charge toward your true purpose and inspire others to help you through discipline, focus, and generosity. Now odds are, if you’re reading this post you are a highly motivated professional, a business owner, or an entrepreneur. That means leadership is absolutely critical to your success. And to make sure you’re really prepared for leadership, I’m going to break it down piece by piece for you and explain. This part comes first because it’s the most important. If you don’t start with this, your discipline, focus, and generosity won’t amount to anything. Your true purpose is your vision for how you want to change the world. It’s the thing you care about more than anything else at a gut level. For many people, it’s something they feel first and only find the words for later. The good news is that you don’t have to have a perfect definition of your true purpose right from the start. To be honest, it can take many years to find the exact words for it. I know it took me quite a while personally. The OTHER good news (although maybe slightly scarier news) is that you should start to shape your true purpose by taking action NOW. If you haven’t already, start working exclusively on projects that tug at your heart, the things you care about on a gut level. That sounds so simple when I put it down in words…but I’m constantly surprised by how many people don’t follow this advice. I understand why though: the world is full of bad advice peddled by mediocre people. If you aren’t careful, they’ll turn you into one of them. Now for this to work, you have to be 100%, completely honest with yourself. Don’t worry about what’s realistic, don’t worry about what other people will think, just be honest. Because the truth is, your true purpose doesn’t have to be realistic. Realism will come later. And it doesn’t necessarily have to be popular, because you’re going to use the tools of leadership to prove all the doubters wrong. Your true purpose just has to be genuine. To give you an example, I started my fitness franchise Fit Body Boot Camp with a very clear true purpose. We call it the 2020 Vision – our goal to get 20% of the world in healthy shape by the 2020. Is that a realistic goal? I don’t know. 20% of the population right now is about 1.5 billion people. In 2020 that number will be slightly higher. However, I didn’t choose those numbers because they’re realistic. I chose them because I dream of a healthier world with every fiber of my being. And as long as I have that and I keep behaving like a true leader, the 2020 Vision will come true. The culture of any team or organization always begins at the top. This means that whatever your vision is, your team will never care about it as much as you do. With time and careful decision making, you can get a team who cares 95% as much as you, but that’s the maximum. That’s why YOU need to be a diehard believer in your own vision. Nobody else is going to do it for you. By the way, if your true purpose has anything to do with fitness, then I highly recommend you attend Fitness Business Summit 2016. This is where you can meet and learn from some of the most accomplished professionals in the fitness world and discover their secrets to success. This one is fairly simple. 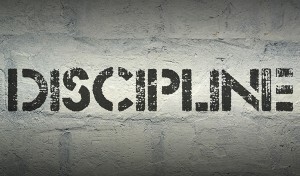 If you want to be a true leader, you need to work hard and work with discipline. That means you need to master time management. Be conscious and deliberate about how you spend every hour of your day, even your “off” hours. Script out every day the night before, placing your most important and scariest tasks at the top your to-do list so you make sure you get those done. Whatever your vision is, you as a leader need to dive deep into the 5% of tasks that will do the most to drive that vision forward. I, for example, am an entrepreneur and a business coach. I build businesses and help others do the same. Therefore, I spend the vast majority of my time selling and marketing, talking over phone and email with my coaching clients, and reading/listening to/talking with my own mentors to make sure my knowledge stays cutting edge. If you’re an entrepreneur, you should be doing exactly the same. If you’re something else, you should find the most successful people in your field and study them obsessively to figure out how they operate on a daily basis. Then copy them. And remember, culture starts at the top. 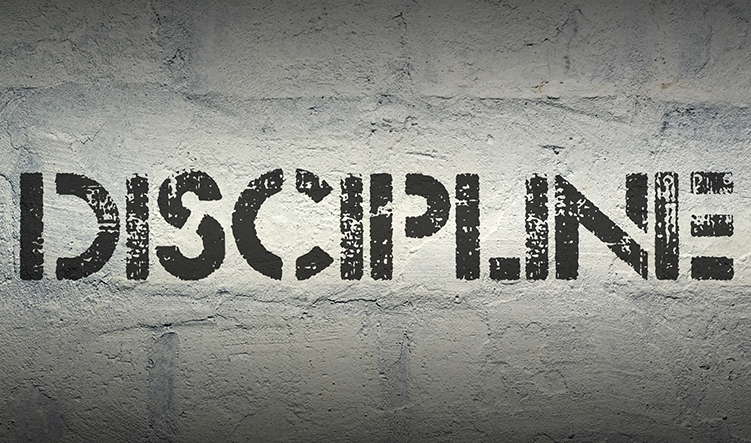 If you want a team of disciplined people working for you, you need to start by demonstrating discipline yourself. This one is sort of related to the previous point. A great leader DOES take responsibility for everything that happens in their business or organization…but they do not micromanage. That just takes away time from their critical 5%. Like discipline, the best way to spread focus in your organization is to demonstrate it at the top. As long you clearly state and restate your true purpose, and you take actions that serve your true purpose, then your organization will naturally build a sense of focus just like you have. Now when it comes to getting focused people on your team, there’s a bit of a twist here. Because really, the best employees in the world are actually mini-leaders. In fact, I often tell my own team that I don’t want a bunch of “employees” working for me – I want a team of entrepreneurs. Because here’s the thing about my 5% rule…even though you as a leader should only work on your 5%, the other 95% still needs to get done for you to succeed. And for you to reach truly massive success, that 95% needs to be done well. And to get the 95% done well, you need to hire people who consider those tasks part of their personal 5%. Hire copywriters who are obsessed with words. Hire accountants who are obsessed with numbers. Hire HR people who are obsessed with nurturing. You might see those 95% tasks as pure drudgery…but someone out there leaps out of bed every morning excited to do those exact things. So find them and let them take care of it. By the way, those obsessive self-starters might not be the most qualified or skilled people knocking on your doors when you start hiring. Choose them anyway. Sure, a qualified, highly skilled self-starter will always be the holy grail…but those people are rare, and they get snatched up quick. So when push comes to shove, always hire for passion. Those people will learn faster and turn out better work than someone who looks good on paper but doesn’t have their heart in the game. In fact, the best way to build a team of superstars is to grab passionate talent while they’re young (career-wise, at least) and let them grow within your organization. That way, you’ll get an intensely loyal team who knows exactly what you need and want from them. Let me remind you for the final time that CULTURE STARTS AT THE TOP! If you want an organization full of generous, dependable people who have a habit of giving first and asking later, guess what? You need to set that example first. Now I hope I don’t need to remind you to be generous to your clients/customers…however, I’m about to give you a business insight that a shocking number of people miss out on. If you want to build a truly successful business, you need to treat your employees with even more generosity than you treat your clients/customers. Does that sound crazy? Trust me, it works. I’ve been putting this idea into practice for years now and even though I’ve had a few people take it for granted, the vast majority of my team appreciates it. And I’m proud to say that they deserve it. I’ve got my team of superstars, and they’re happy to keep doing amazing work for me well into the future. So be a go-giver. Demonstrate the value of generosity with your own actions, and one day you’ll turn around and find a team of wonderful people supporting you. P.S. If you haven’t already checked out Fitness Business Summit 2016, I suggest you take a look now. This is our 10-year anniversary for the event, so for the first time we’re having break-out sessions and a massive expo room. That means this is your best ever chance to get the laser-focused guidance you need for the most important parts of your fitness business. See you there!